Making News - We Never Surrender! "Last month, our U.S. Rep. John Garamendi cast a courageous vote against the Republicans' attack on American consumers. He stood up to Wall Street crooks like Wells Fargo on behalf of consumers, workers, and our military heroes and their families, who have too often been scammed by illegal practices and outright fraud. He sided with hundreds of consumer, faith-based, civil rights and military/veterans organizations, and voted against the GOP attack on the Consumer Financial Protection Bureau and its new rule, which promises to restore the fundamental right, guaranteed by our nation's Constitution, to fight back in a court of law if you are ripped off or cheated. We have been robbed of that right because of "forced arbitration" clauses hidden in the fine print of contracts with banks, credit card companies, cell phone providers, medical providers, nursing homes, car dealers and almost every other business. President Trump sent GOP legislators a formal message telling them he is eager to sign the resolution destroying the rule, which will rob all consumers in our nation of their heritage as Americans to defend themselves through the third branch of our government, the judiciary. Ironically, Trump is incredibly litigious, and threatens to sue anyone who dares to defy him. But he thinks you don't deserve to have the same right if you have been victimized by a bank that steals your identity and sets up fake accounts that ruin your credit." "The bank repossessed 25,000 cars from customers for being late with payments. She added, 'It ruins their credit, it ruins their lives. And a lot of times when cars are repossessed that is people's only way to get to work. If you're in the military it can also mean that you will lose your security clearance which ruins your career. And it also means we as a nation lose very highly-trained security personnel that we can't afford not to have doing their job.' "
"Wells Fargo is Trying to Bury Another Massive Scandal"
"The bank became notorious last year for creating fake accounts on behalf of customers. Now it's trying to kill a class-action lawsuit over shady debit card fees. Wells Fargo became a poster child for corporations that abuse their own customers last year when it got fined for ginning up roughly 2 million (maybe even more) fake accounts to meet high sales goals. The bank has since tried to block customer lawsuits over that misconduct, using fine print buried in contracts known as the forced arbitration clauses, which force customers to go not before judges but a secretive non-judicial process to get relief. Wells Fargo continues to deny its victims their Constitutional rights. Reordering has been ruled deceitful in federal court. Starting around 2008, consumers filed national class-action lawsuits against more than 30 different banks over these bogus overdraft fees. The cases got consolidated in 2009, in the Miami federal courtroom of US district court Judge James King. Most banks eventually settled with the plaintiffs: Bank of America agreed to pay $410 million in 2011; JPMorgan Chase promised $162 million in 2013. To date, banks have shelled out $1.1 billion in restitution for overdraft abuses. If the bank does prevail in moving the case to arbitration, people who got screwed and charged extra fees would have to pursue overdraft complaints by themselves. They would be at a major disadvantage: A recent study by the non-profit Level Playing field found that Wells Fargo customers have won only seven arbitration cases in the past eight years, out of just 48 that actually got to a final hearing. And just to pursue the case, consumers would have to spend heavily on legal representation and hearings. 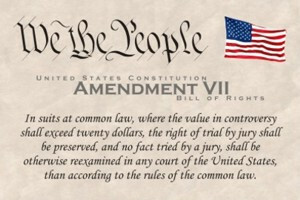 As federal judge Richard Posner of the Seventh Circuit Court of Appeals once wrote in a ruling, 'The realistic alternative to a class action is not 17 million individual suits, but zero individual suits, as only a lunatic or a fanatic sues for $30.' "
"Here's why Wells Fargo forces its customers into arbitration: It wins most of the time"
"The insistence by Wells Fargo that the victims of its bogus account-opening scandal seek redress via arbitration, rather than in court, remains the best indication that the bank's promise to "make things right" for those customers is fake. We've pointed out before that big companies like Wells Fargo love to force customers into arbitration because the companies are heavily favored in the process. They're repeat players, so they have familiarity with the system. They can stick customers with half the cost of arbitration, even if the customers win, increasing the customers' risk. And they can bar customers from filing class actions, which for a corporation is a big plus. A new study shows just how advantageous arbitration has been for Wells Fargo. Short answer: For the bank, it's been great. Wells Fargo -- the scene of the crime. 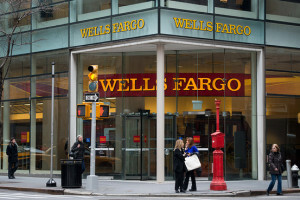 Especially egregious, Horton says, are clauses in the Wells Fargo agreement and others that forbid customers to file class-action lawsuits or to band together with other customers in class actions in arbitration. 'There's no question that requiring customers to pursue their claims individually means that fewer claims are brought,' Horton says, 'and companies like Wells Fargo aren't deterred from violating the law.'" Los Angeles Times: "Here's why Wells Fargo forces its customers into arbitration: It wins most of the time". "Wells Fargo tries, fails to explain why customers shouldn't be allowed to sue over fake accounts"
"Wells Fargo has admitted that thousands of its employees opened fake, unauthorized accounts in customers’ names, but the bank is doing everything it can to prevent these wronged customers from having their day in court. We asked Wells Fargo to explain why it believes hundreds of thousands of Americans shouldn’t be allowed to exercise their constitutional right to sue. The bank’s response made little sense (unless you’re a Wells Fargo executive). 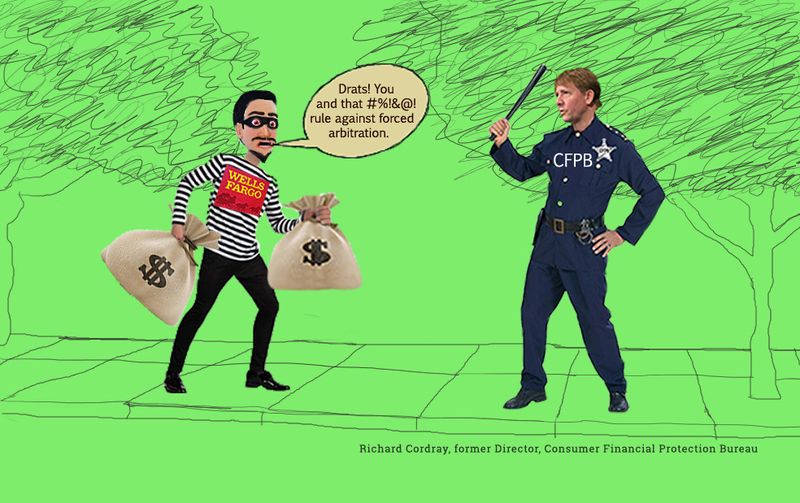 Last week, We Never Surrender, a coalition of consumer advocacy groups, wrote a letter [PDF] to Wells Fargo CEO urging the bank to stop using arbitration agreements to sidestep accountability. And the advocacy groups are not alone. At least six U.S. Senators have asked Wells to not force these lawsuits into arbitration. So why does Wells Fargo — which has already admitted that this fraud occurred — insist on keeping these cases out of the court?" Read more: The Consumerist: "Wells Fargo tries, fails to explain why customers shouldn't be allowed to sue over fake accounts". Then they steal your money. Gretchen Carlson: "I am on a mission"
© 2018 WeNeverSurrender.org - all rights reserved. Brands, trademarks, and images, where used, are the property of their owners. Website by MyBrotherSteve.com Computer Services.